Since it's still summer, and it has been pretty hot lately, we'll go ahead and review TJ's water, since everyone should be thinking about their proper hydration. I mean, it is just water. However, I can totally tell the difference between name brands such as Perrier or San Pellegrino and a store brand. TJ's ranks very high among store brands, but doesn't quite hold up to the likes of Perrier. 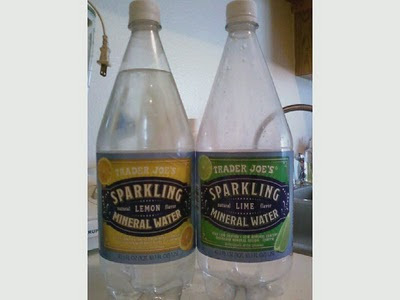 Similar to other popular lines of sparkling water, TJ's mineral waters come in different flavors: plain, lemon, lime, berry, and orange. I think my favorites are berry and lime. Sonia likes lemon the best. Orange is our least favorite. But they're all decent, and all worth a try. At $ .89 a bottle, it's not a very big investment. It's hot out there. You'll surely be sweating a lot. Drink plenty of fluids. Throw some organic Trader Joe's frozen strawberries in a glass of the lime water = yum. I started driking it and my concern was if it has additives or artificial flavors but apparently not,so I add some organic stevia drops and tastes similar to a soda..without the calories I guess.. I'll go ahead and say that this is my favorite bottled water. There is no flavor that I do not like. We buy this by the case at the front every time we go to TJs. Raspberry Lime is our favorite. 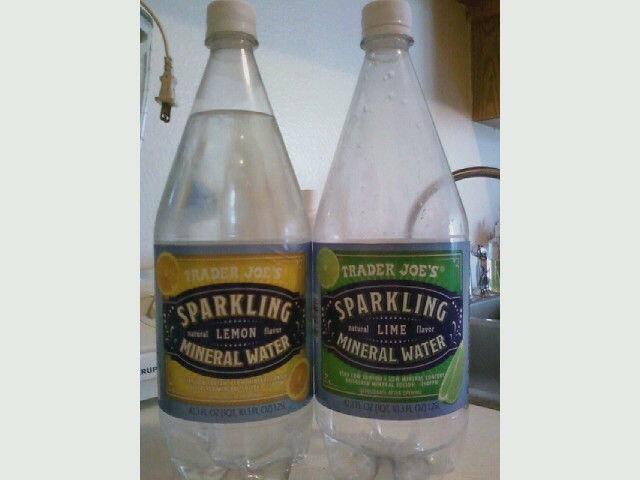 I was just in TJ's this morning and saw that the sparkling water has been refreshed- new labels, new flavor (I bought the Grapefruit, which I really like) and reduced sodium content (15mg per 12oz serving). Perhaps an update is in order?